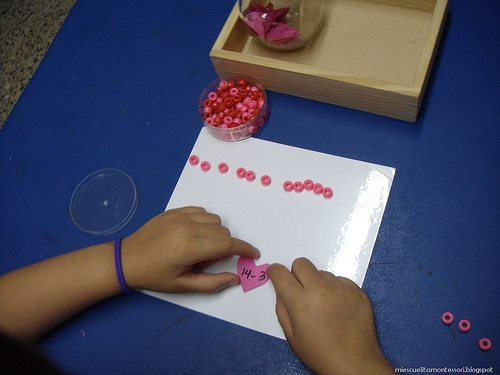 It’s time to prepare some Montessori-inspired Valentine’s Day activities! Here are lots of great activities available from around the blogosphere. I had a post from last year with lots of helpful resources: Activity of the Week – Montessori-Inspired Valentine’s Day Activities. Last week’s Montessori-Inspired Kindness post has some activities that work well for Valentine’s Day. 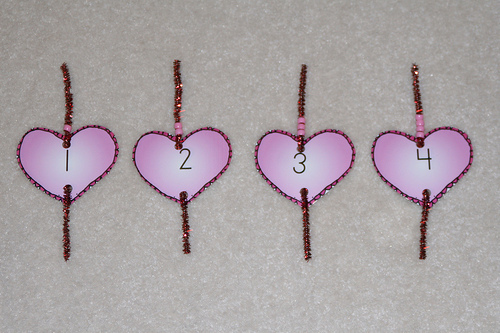 I have Montessori-Inspired Bead-and-Pipe-Cleaner Valentine Math Activities. 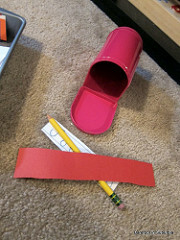 I have Turning Valentine Crafts into Montessori-Oriented Activities. UPDATE: I also have Montessori-Inspired Valentine Math Trays. 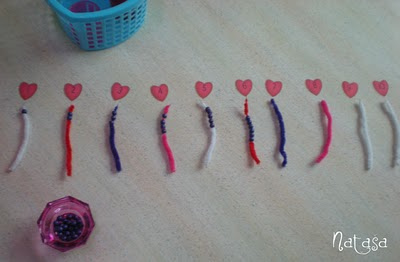 Leptir has Valentine’s Day Activities and Valentine’s Day Activities (5) (photo). 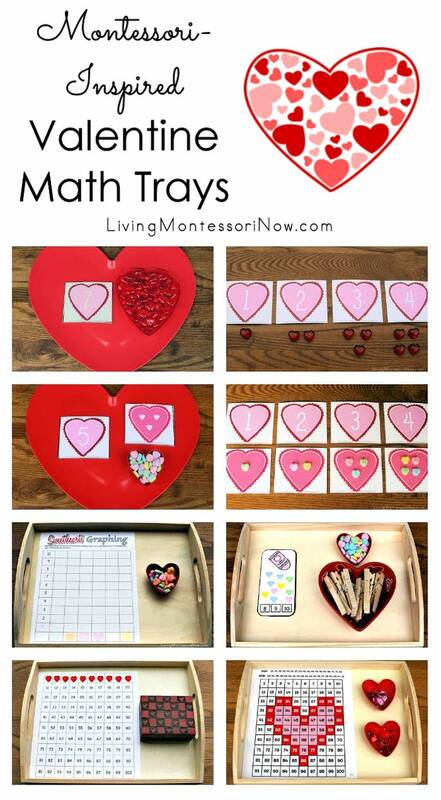 1+1+1=1 has a Valentine’s Day sensory bin along with printables that can be made into hands-on activity trays. There’s also a link in the post to heart-themed tot trays. The Iowa Farmer’s Wife has a Valentine’s Day sensory bucket. Jada Roo Can Do has water bead sensory play and transfer. 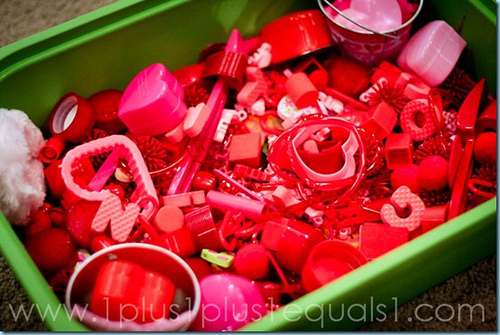 Sugar and Spice has a Valentine’s Day sensory bin and activity trays. 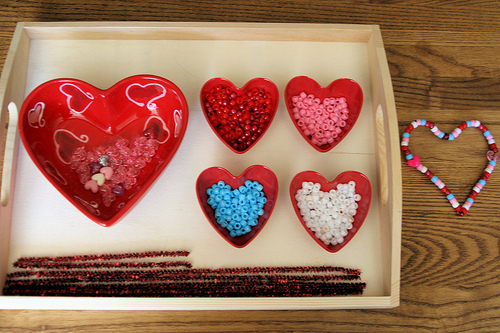 Adventures in Family has Montessori-inspired Valentine’s trays. 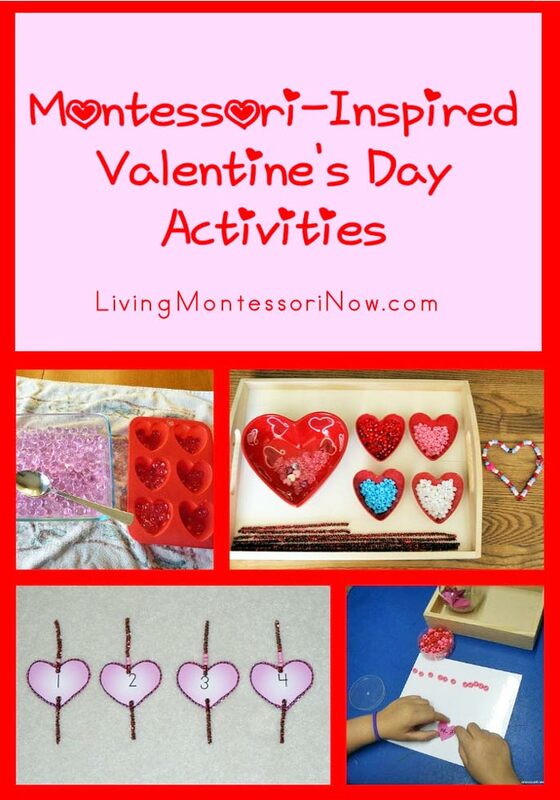 Our Montesori Home has lots of Valentine’s inspired Montessori activities. Mi Escuelita Montessori has Valentine math work for addition, subtraction, and multiplication. Mama of Many Blessings has Valentine’s Day activity trays and practical life. About a Girl has Lovehearts Art. Mama to 4 Blessings has a post with Valentine’s activities and crafts, including a special activity with heart-shaped chocolate boxes. Barefoot in Suburbia has a number of Valentine’s Day activities, including Valentine’s Day handwriting work. 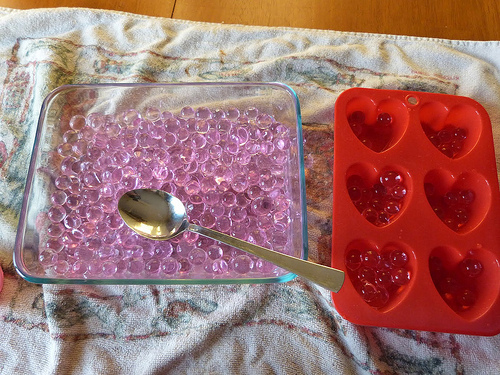 The Preschool Experiment has a number of Valentine’s Day activity trays and a Valentine’s Day sensory bin. I have a Kids’ Valentine’s Day Pinterest board with lots of Valentine’s Day crafts and activities. 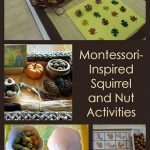 They aren’t necessary Montessori-inspired activities, although many can be turned into hands-on activity trays. Are you planning any Montessori-inspired Valentine’s Day activities? Love your Pinterest board. Nice roundup. I love Natasha’s blog! Thank you for sharing. Hi Deb! I just discovered your blog and am bookmarking it immediately! I really like all these Valentine activities and your photos. I’m just starting to do Montessori activities with my toddler and blogging about it to keep myself motivated. Do you mind if I link your blog as one of my resources? I can foresee myself coming back for inspiration from time to time! Cheers and keep up the excellent work! What fabulous ideas!! I want to try out all of them! Loving these ideas! especially the pushpin! Going to do that for sure! WOW! So many amazing ideas! There just isn’t enough time in the day. Ican’t wait to try soe of these activities! You have got me hooked on transfer activities! So many great Valentine’s Day ideas. I love these round up posts you do! I really want to try the pin punching with my oldest. I think he’d love it. 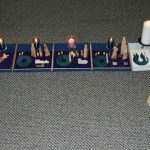 what a beautiful collection of activities…thanks for sharing. These Valentine’s day activities are so inspiring! I can’t wait to try some of these out for preschool, kindergarten and homeschool!!. Thank you for posting them! Also, I love the eBook for the Heart Association! I want to do something like this in April to help fundraise for the Arthritis Foundation in honor of my daughter. She is the honoree for the walk here in our area and I am trying to find creative ways to raise awareness and funds. Thanks for being a part of this as you have inspired me! Brilliant post especially your pinterest board. I would definitely try some of these activities. 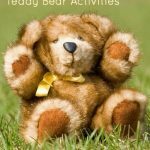 Could you add some activities for each day like one for valentine’s week hug day?